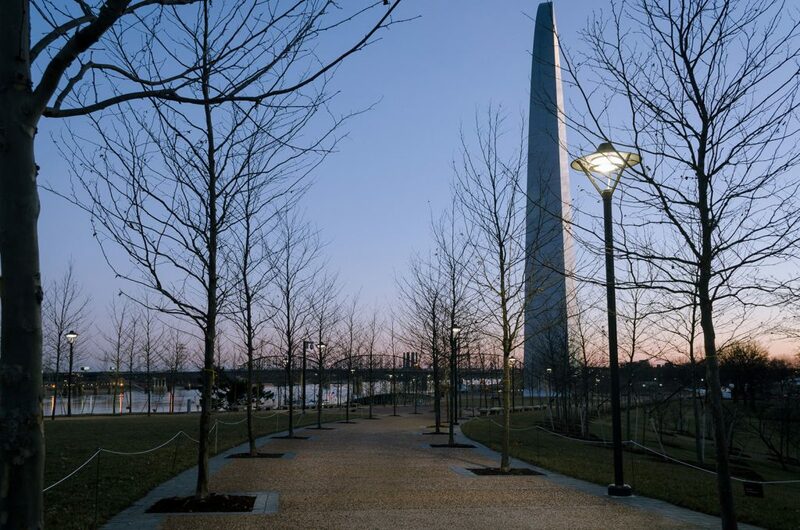 Over the past few months a significant portion of the Jefferson National Expansion Memorial transformation project have been opening to the public. 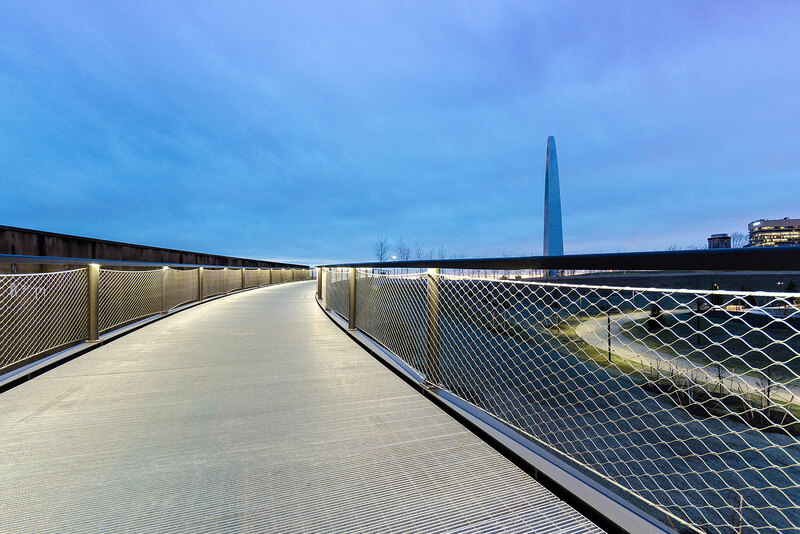 Spearheaded by the non-profit CityArchRiver Foundation, this public-private partnership project included work with a number of national and local government agencies including the National Park Service, Great Rivers Greenway, the City of St. Louis, Bi-State Development Agency, and the Jefferson National Parks Association. 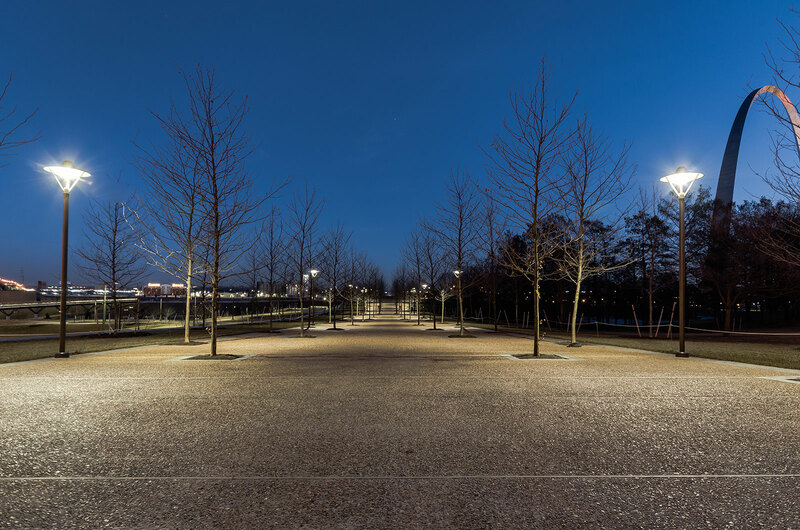 Renowned landscape architecture firm Michael Van Valkenburgh Associates led the design team for the site elements of the project of which Randy Burkett Lighting Design served as the lighting design consultant. 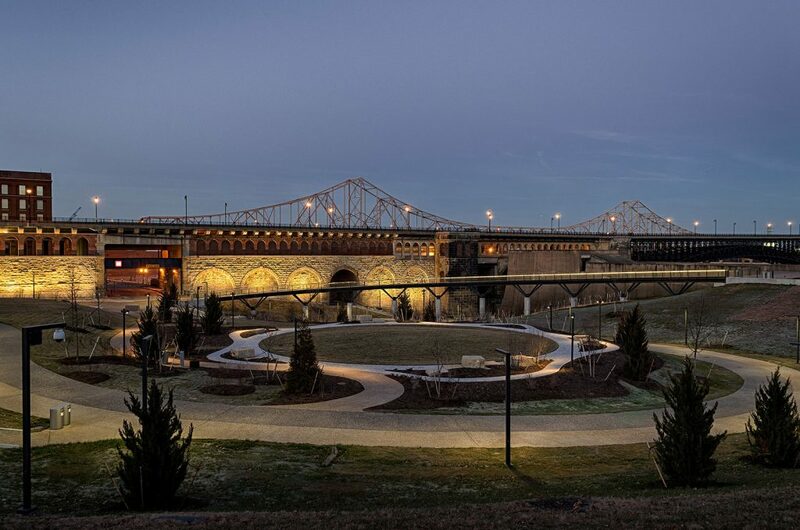 Great Rivers Greenway will be hosting a ‘Spring Into Your Park’ event April 8th in the ‘North Gateway’ to celebrate these opening milestones. 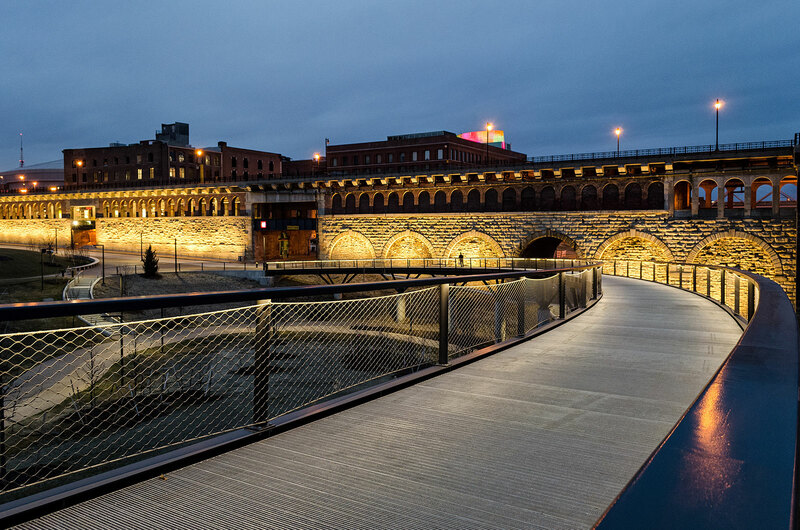 The ‘North Gateway’ also represents perhaps one of the largest transformations of the project site; where once stood a parking garage, land was returned to the park complete with new trails, an elevated walkway connecting the gateway area to the park, and a natural amphitheater for events. 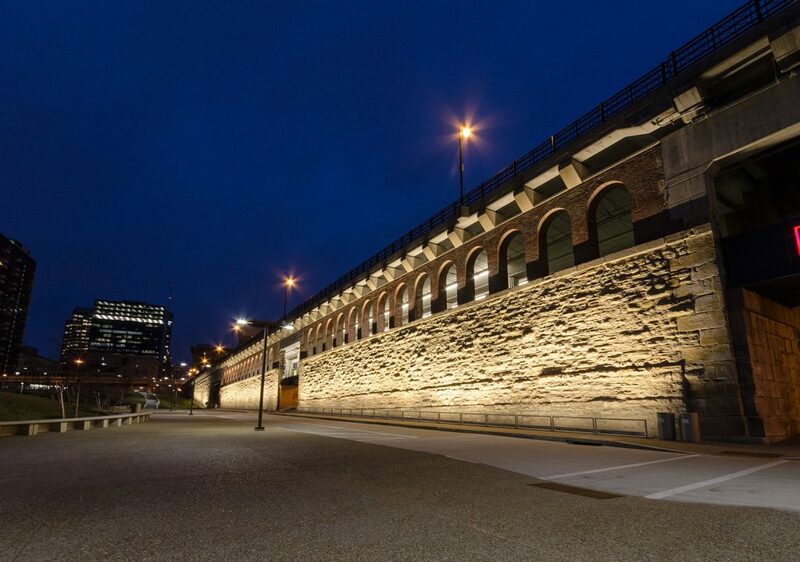 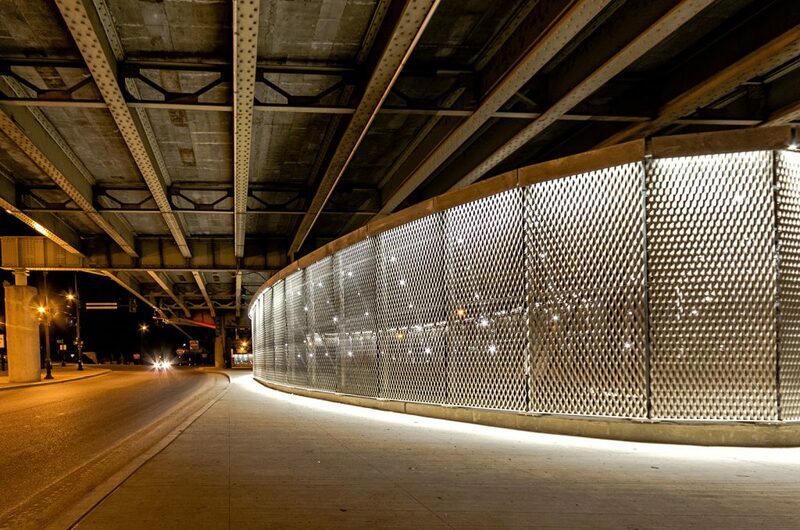 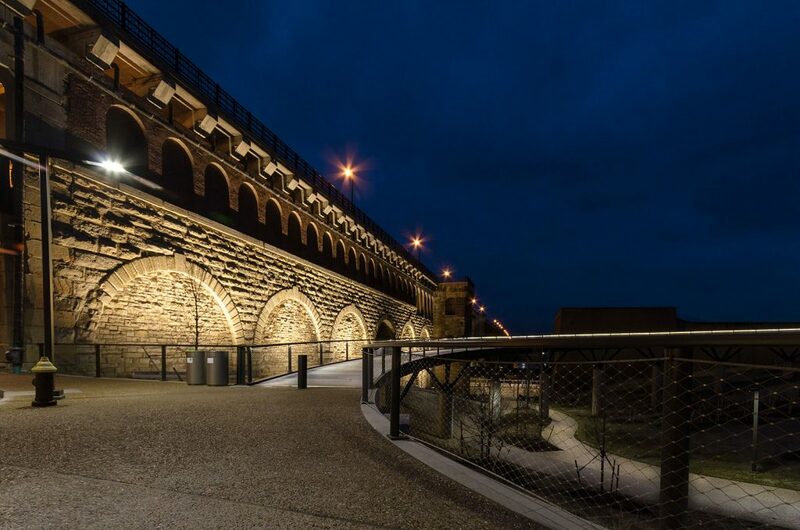 From a lighting perspective, illumination of the nearly the entire stretch of the historic Ead’s Bridge within the park boundaries provides a dramatic evening backdrop.